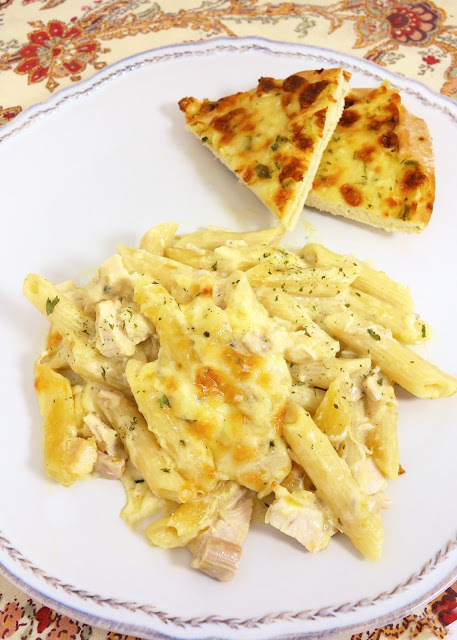 White Chicken Enchilada Pasta -my favorite enchilada recipe with pasta instead of tortillas - much easier! No cream of anything soup!! 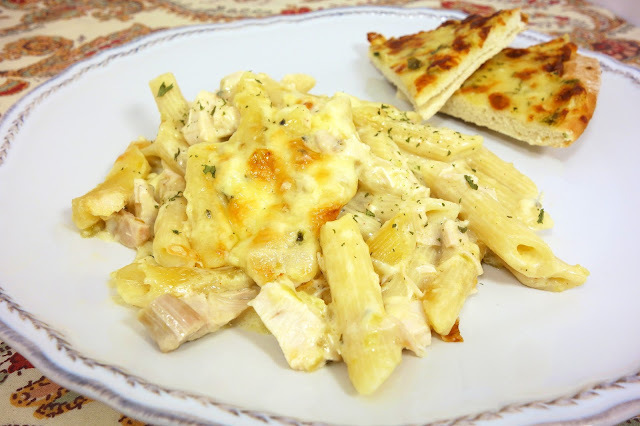 chicken, pasta, green chiles, cheese, tossed in a homemade sour cream sauce. SO good! I wanted to lick my plate! This is a variation on one of our favorite enchilada dishes - White Chicken Enchiladas. I swapped out the tortillas for pasta. YUM! We both LOVED this. It was incredibly delicious. This was much easier to make than the rolled enchilada dish. I didn't have to take the time to stuff tortillas and roll them up. I just made the sauce, boiled the noodles and mixed everything together. We actually preferred this to the original. Preheat oven to 350ºF. Spray a 9x13 pan with cooking spray. Toss together pasta, sauce, chicken and half of cheese. Pour into prepared pan. Top with remaining cheese. Bake 25-30 minutes until bubbly and cheese is melted. Enchiladas are way too much work, THIS is the way to go! This sounds amazing! I think this will be on my table this weekend! This may be a dumb question but...southwestern seasoning? Is this something you buy on the spices aisle? Could I just use taco seasoning? McCormick sell Southwestern Seasoning, but you could us taco seasoning if you already have that. Would this freeze well? I'm stuck for freezer friendly ideas! Love this idea! I've made your white chicken enchiladas several times, and we love it, but it's a lot of work. This sounds way easy! Thanks, this looks much easier than the enchiladas with rolled up tortillas we eat so often. For a white sauce, I substitute white pasta sauce, like Classico's Creamy Alfredo or 4 Cheese Alfredo. Then I don't need to add onion or garlic powder (allergic). If you like cilantro, add some to chopped tomatoes for a topping, like they do at Dos Amigos restaurants here. I made this tonight, and it was great!! So glad t hear you enjoyed it! This is one that I absolutely have to try. Especially if I just go by and get a rotisserie chicken on a weeknight. Sounds great. Crazy question.....Could I use the can of green chilli enchilada sauce instead of the green chillis themselves?! I think that would work. Add about a 1/2 cup. I made this last night and it was so yummy!!! Is there a recipe for the cheese pita shown in the picture? I bought that at Costco. You could just put cheese on a pita and bake it until the cheese melts. Looking forward to making this tonight. Going to grill the chicken breast on my new counter top grill. Yum!